Muzzle Loader breech plug removal. 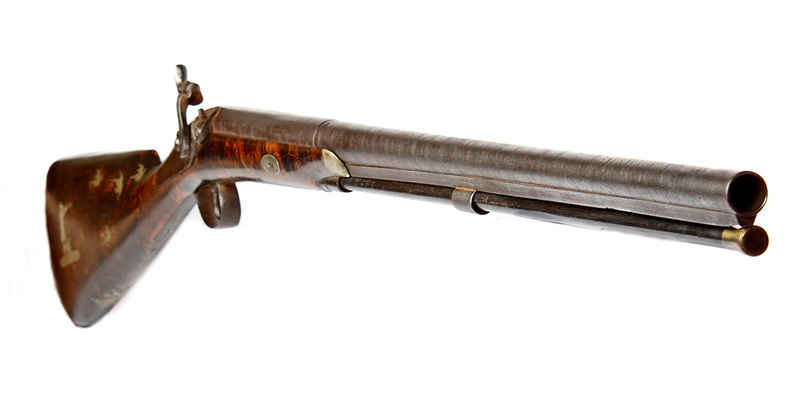 This 19th century percussion cap muzzle loader was recently brought in for a bore inspection prior to being offered for sale by one of our local auction rooms (Tennants Auctions in Leyburn). 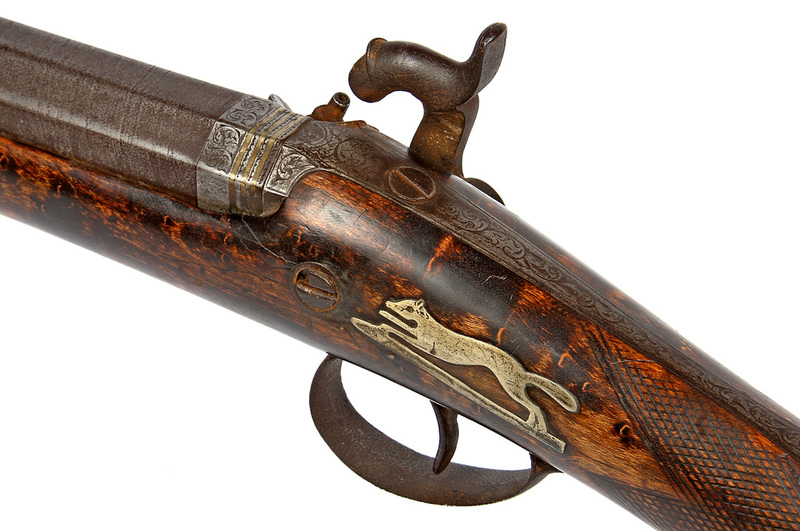 We were unable to find a makers name, the barrel was marked with Birmingham proof marks, but the styling of the Maple half stock, with silver inlaid hunting scenes suggest it to be by a continental maker. Initial inspection showed it to be in good condition with the lock mechanism all present and working. The forward ram rod tunnel was missing, but these are still available, so that is no great problem. 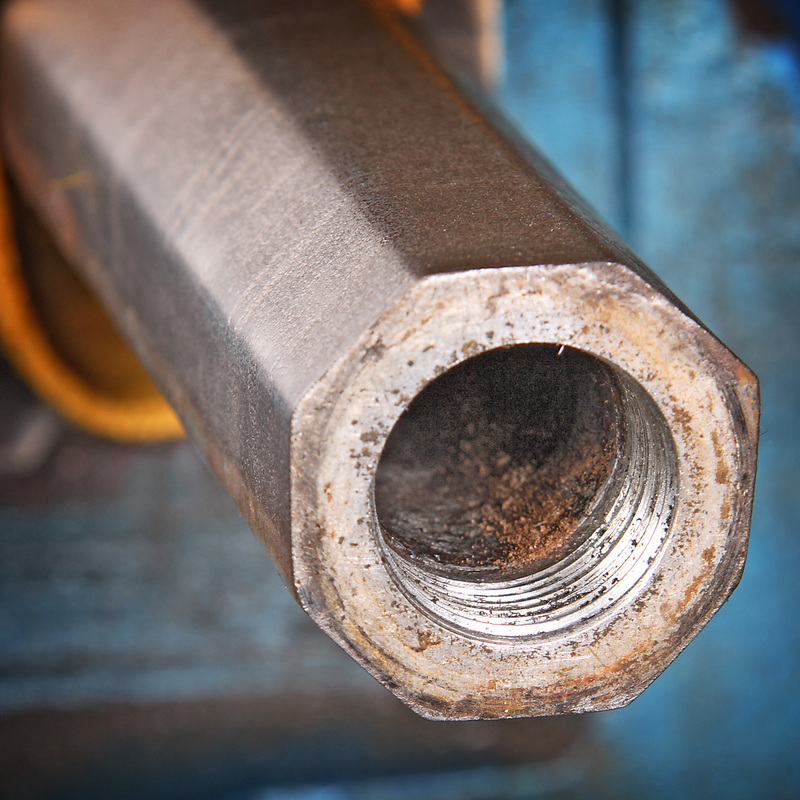 Of much greater significance is the internal condition of the bore. Initial inspection both using a bore light, followed by our endoscope was inconclusive. Usually these inspections are fairly straight forward and result in the barrel being classed as unsafe to use due to the presence of big pits inside the barrel. 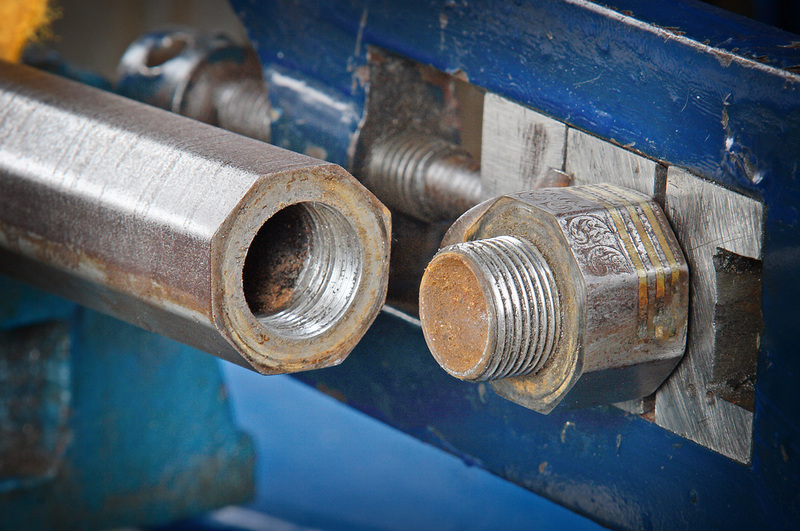 Pits are holes formed in the surface of the metal by rust and can significantly weaken the barrel wall. Being inconclusive would be no help to our client, we have to come to an informed decision We will just have to do this the old fashioned way and remove the breech plug for a proper look. 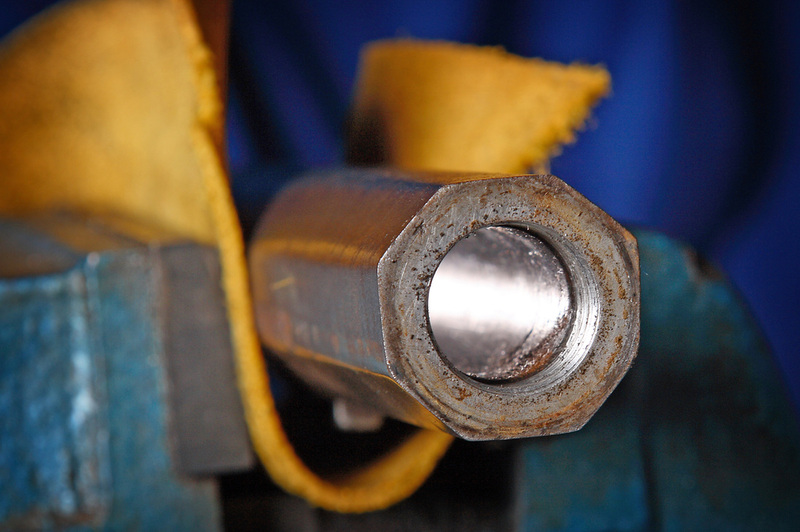 When a muzzle loader is in regular use removal of the breech plug for inspection and bore maintenance is classed as routine servicing. All working gunsmiths used to have a range of breech plug keys just for this task. 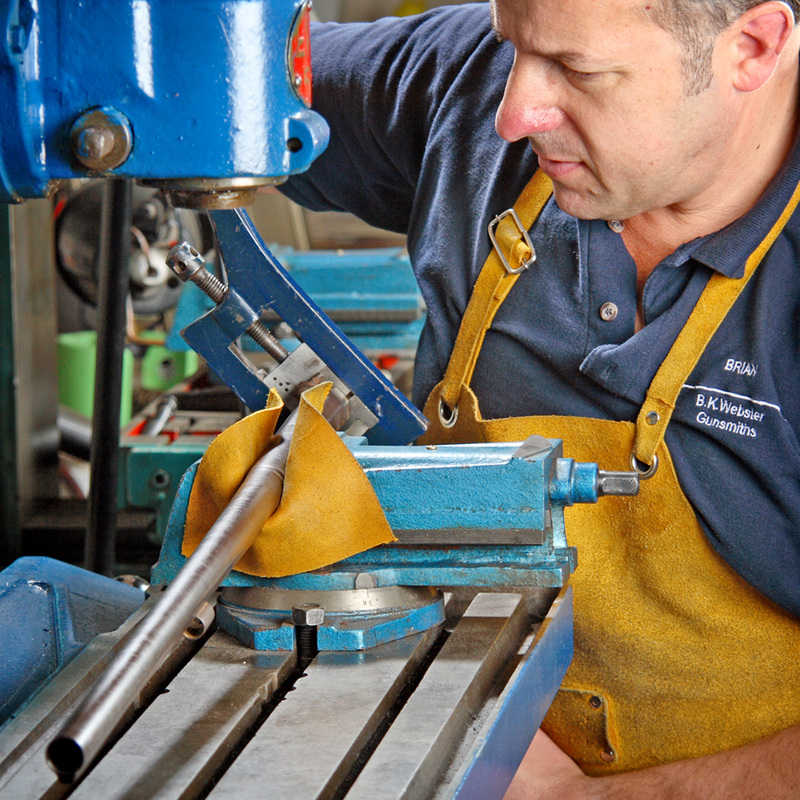 Now this job is no longer a common occurrence for most gunsmiths. This gun didn't appear to have been used for quite some time, probably decades, so I anticipated getting the breech plug out being difficult. 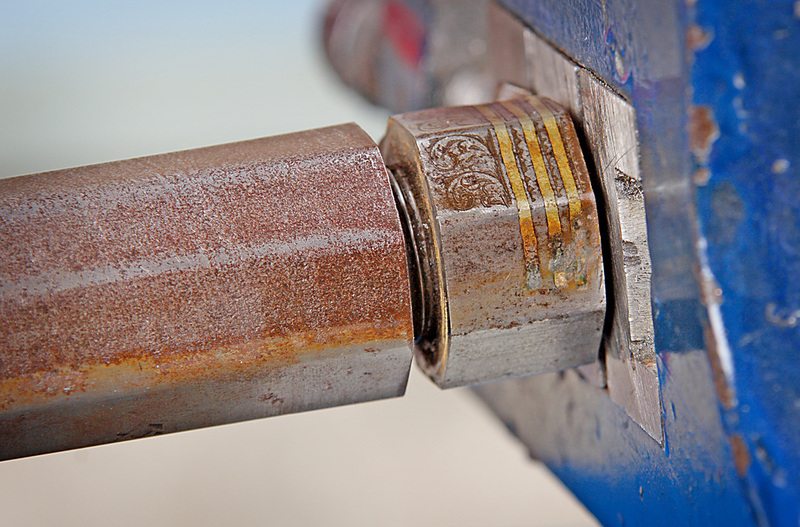 If the plug is rusted in it can be impossible to get it out with risking damage to the barrel. 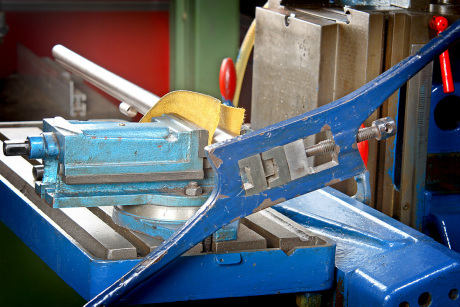 We do have a big barrel vice capable of exerting enormous amounts of torque, but it is possible to tear the breech lug completely off these old muzzle loaders with that. However, I always recommend starting with the minimum force and the simplest setup first. This setup is more than adequate as a start point. The barrel is set up in a heavy machine vice attached to a two ton milling machine. The vice is equipped with jaws specially shaped for holding octagonal barrels and the rosin impregnated leather padding prevents any marring of the barel surface, and I have attached our adjustable breech plug key to the breech lug. Time to see if this is going to move. I always feel a sense of excitement as I apply pressure to the key, and wait for the sudden jolt that indicates success as the breech plug starts to turn. 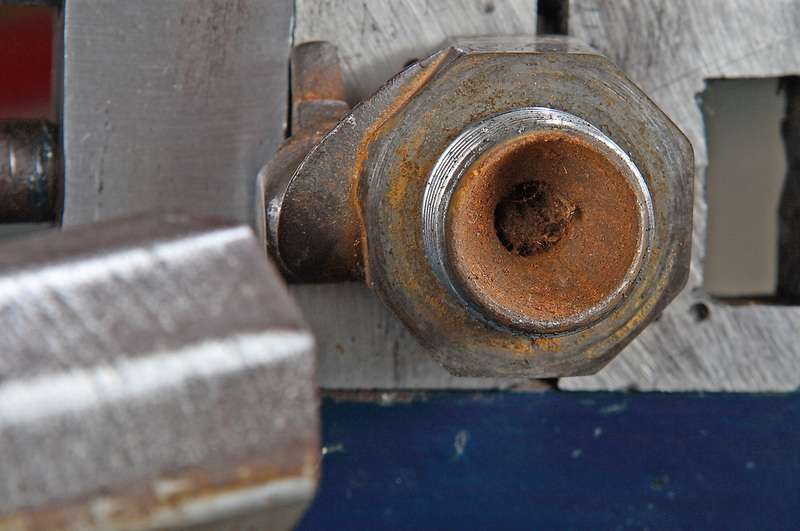 Here we can see that the breech plug has broken free and is starting to turn. Now I feel justified in my gently does it approach. I keep turning, easing the breech plug gently along its thread until it is completely free, and we can see into the main bore of the barrel. Success; nothing is damaged and the breech plug is out. The breech threads and the breech plug are in excellent condition. The main bore although looking good here had just a little too much pitting further along to be declared safe. Assessing the safety implications of pitting is always a judgement call, and different gunsmiths will always vary a little on this. In this case my judgement was that the level of pitting present made this barrel unfit to use as it was. However, I felt that the barrel was good enough to allow the bore to be honed to remove the pitting and then have the barrel proofed again for black powder. Providing it passed proof this would allow the gun to be used again without any doubt as to the barrels' safety, and this is one of the options I suggested to my customer. I believe the gun eventually went for sale as it was, with the view that the next owner may not want to fire it anyway. This seems a shame as I would have loved to have returned this gun to safe firing condition and heard it roar and bellow smoke again. 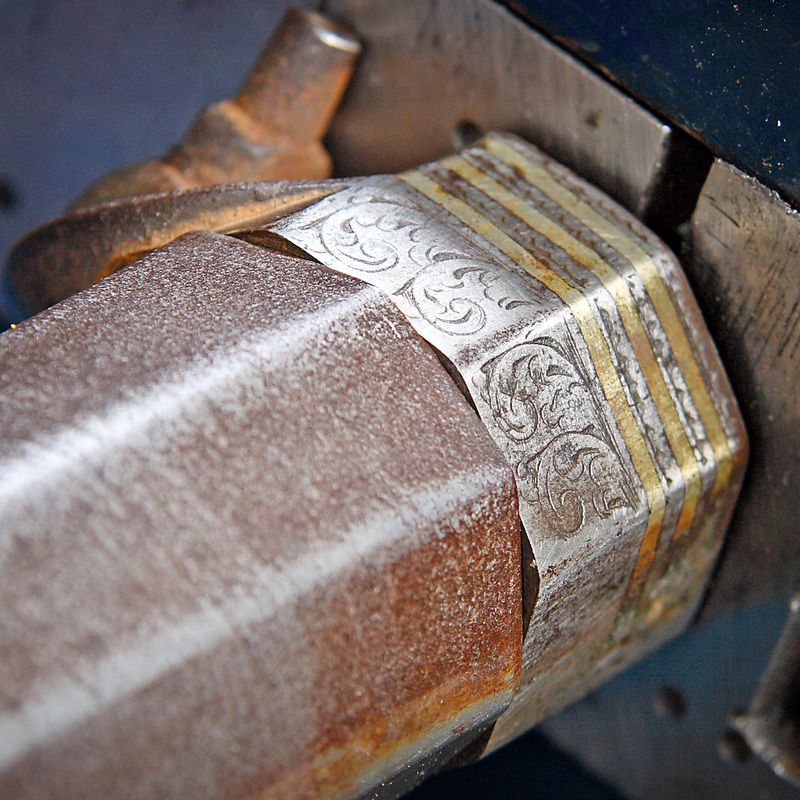 The copyright to all images and text on this website is held by B K Webster Gunsmith.